Am I picky about my food? I don’t think so. Certainly, there are some foods that I just can’t eat. Spicy foods are a no-go for me and I prefer not to eat foods from a tin can but for the most part, I’d like to think I’m pretty easy going (granted, I’m not overly adventurous but still…). I also happen to be a big cheese lover but I’ve come to realize that not all cheeses are equal. I mean, there’s cheese and then there are all the cheeses made by the amazing folks at L’Ancetre. 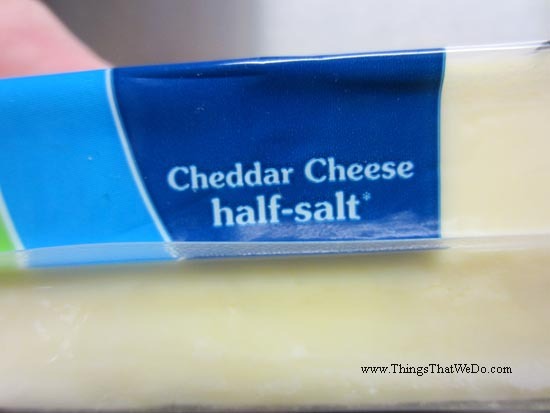 In the past, I was fortunate enough to test out some of their cheeses and just recently, they reached out and I learned about their organic half salt cheddar cheese. With 85mg of sodium in 30g of cheese, this L’Ancetre Le St-Grégoire organic half salt cheddar cheese is significantly lower in sodium than a lot of the cheeses out on the marketplace. Well, what can I say? L’Ancetre never ceases to amaze me. 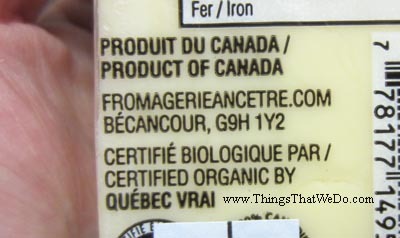 Cheese Review: what ingredients are in the L’Ancetre Le St-Grégoire organic half salt cheddar cheese? 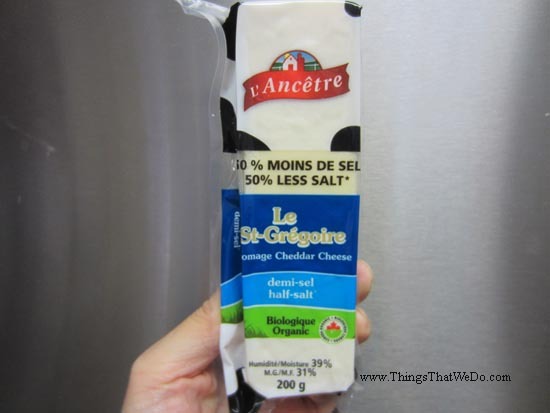 Here is a list of the ingredients that went into making the L’Ancetre Le St-Grégoire organic half salt cheddar cheese: organic pasteurized milk, salt, calcium chloride, bacterial culture, microbial enzymes. The list of ingredients is pretty simple and noticeably missing – no extra added colours. I also appreciate that the cheese is made with organic milk. I mean, how many cheeses can put that on their list of ingredients? Most importantly, beyond the ingredients, is the actual taste of the cheese. After all, there’s no point having a great ingredient list if the product can’t deliver on taste. The L’Ancetre organic half salt cheddar cheese certainly didn’t disappoint. 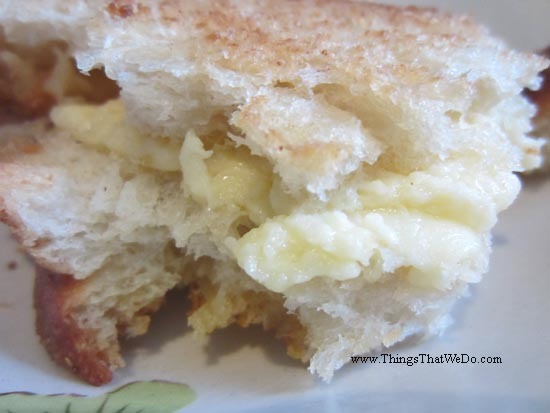 It has that signature cheddar cheese taste with only a hint of salt. The L’Ancetre Le St-Grégoire organic half salt cheddar cheese is smooth, tart, rich, and light at the same time. 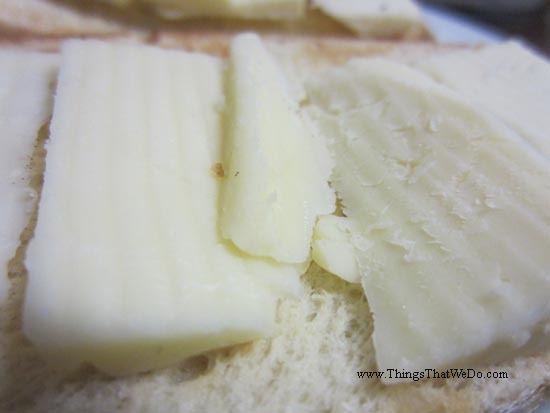 In this case, because the salt has been reduced, you can really appreciate the tartness that accompanies cheddar cheese. At the time of this review, I’ve eaten the L’Ancetre organic half salt cheddar cheese on its own, on crackers, and also in grilled cheese sandwiches. I’ve had friends taste it as well and so far, everyone seems to be a big fan. 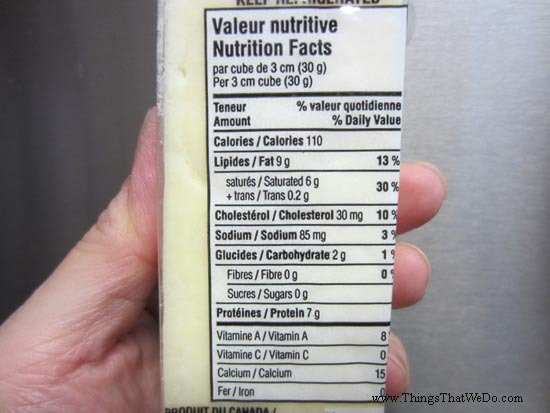 Friends appreciate the lower sodium level paired with good quality organic milk in a cheddar cheese that is mild enough to be used in various dishes. Whether you try L’Ancetre cheeses or not, that’s your choice but the key is to be an informed consumer. 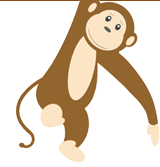 Buy what you want just make sure you spend your consumer dollar wisely. Is the L’Ancetre organic half salt cheddar cheese yummy? Is it made with quality ingredients? The bonus: it’s got less salt than many other cheeses and just might be the very first 50% less salt cheddar in the world. It’s certainly the first one I’ve ever heard of.